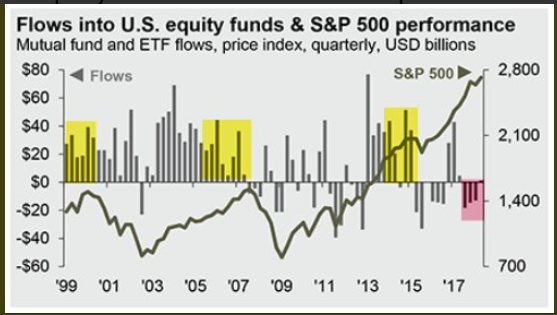 1.Flows into U.S. Equities NOT Signaling Any Top. 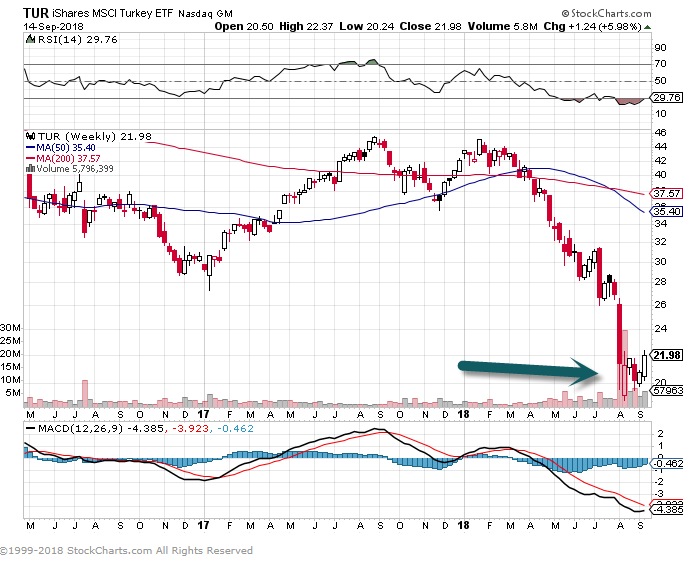 Negative flows into U.S. equities are not a common factor of tops in market. 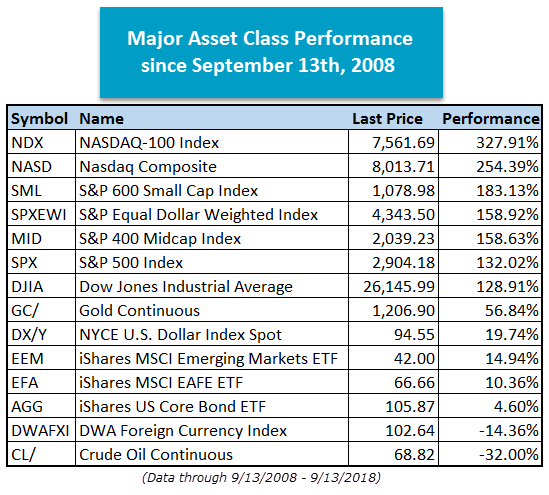 2.Major Asset Class Performance Since Lehman. 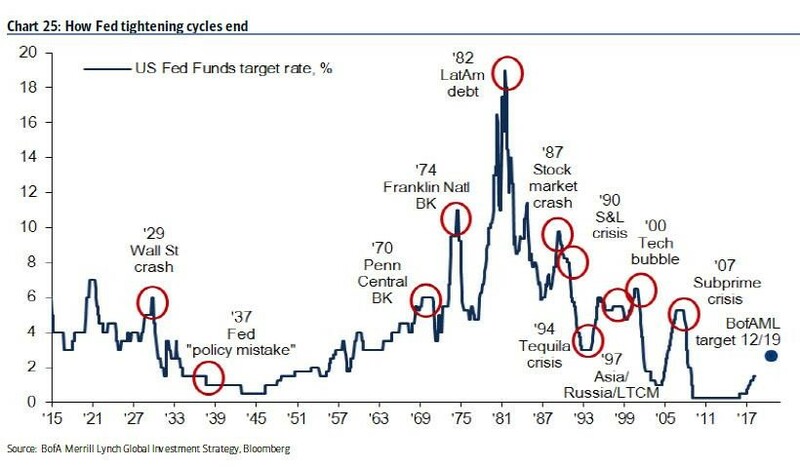 4.Speaking of Rate Cycles..Trillion Dollar Budget Shortfalls Will Re-Start Next Year. 5.Consumer Confidence at Record Highs U.S. and Europe….Disposable Income Growing. 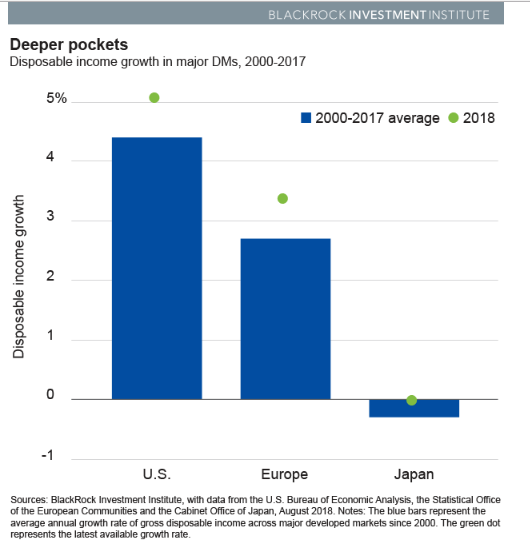 An upbeat view of the economy, a willingness to spend and growing income in major developed markets, as shown in the Deeper pockets chart, bode well for consumption trends globally. And a burgeoning middle class in emerging markets (EM) is developing the appetite–and means–to spend. 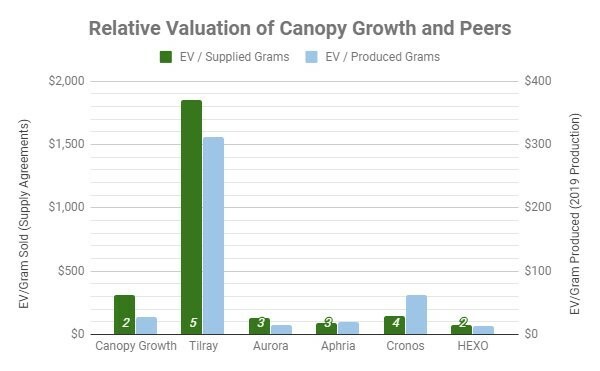 7.TILRAY Relative Valuation Versus Weed Market. 8-9.Read of the Weekend from Barry Ritholtz. All are the result of bias, ignorance, laziness or bad faith. One of the most intriguing aspects of the 2007-09 financial crisis is how little understanding there is of what actually occurred. Some of this has to do with the complexities of the event, as well as how hard it is to identify forces lurking below the surface that had built up over the years. No. 1. Lehman’s collapse caused the crisis: “If only we had saved Lehman Brothers, we could have avoided the crisis,” goes a popular lament. This reflects a fundamental misunderstanding of the scale of the dislocations. To accept this premise — former Lehman employees are some of the loudest apostles of this theory — then one has to pretend an entire universe of other issues didn’t exist. Lehman, like Bear Stearns before it, suffered from many of the same issues that afflicted most of the U.S.’s other big banks and brokers: too much junk paper, too much leverage, too little capital and deficient risk controls. Lehman was simply among the most overleveraged and undercapitalized of the lot. No. 3. Repeal of Glass-Steagall: The argument is that in the decades after Glass-Steagall was enacted during the Great Depression, Wall Street crises were confined to Wall Street and didn’t spill onto Main Street. See as examples the 1987 stock-market crash or the Mexican peso crisis of 1994. But the causative issue we run into to is the but-for test. Would we have had a crisis if Glass-Steagall were still in place? I don’t see how we can make that claim. Perhaps had Glass-Steagall not been repealed, the crisis might have been smaller, but it is very hard to say it wouldn’t have occurred anyway. No. 4. Bailouts were the only option: There were many other options, but they would have been very painful and required considerable foresight. I believed then (and still believe) that the best course of action would have been prepackaged bankruptcies for all the insolvent institutions instead of bailouts. I would have had the federal government provide debtor-in-possession financing, allowed qualified private institutional investors to bid on the assets thereby letting markets set the valuations, with the government picking up the rest. It would have been more difficult in the short term, but the economy would have rebounded much sooner. No. 5. 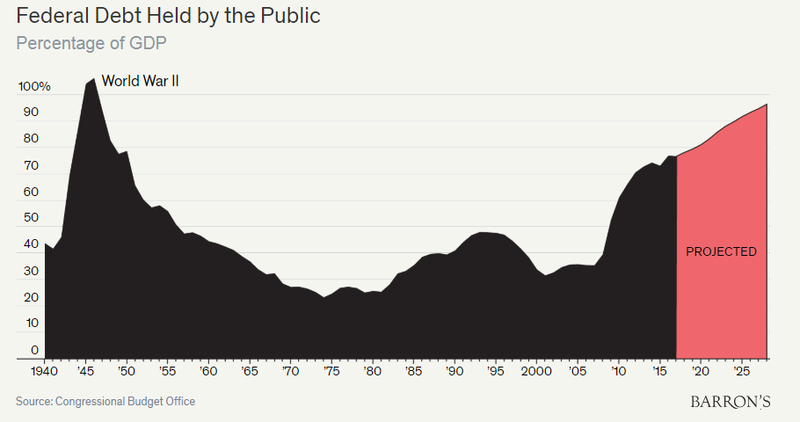 Taxpayers were repaid in full and even made a profit: There are two major issues with this claim: The first is that the Troubled Asset Relief Program and most other loans and bailouts were all (or almost all) repaid. But to make that happen, the federal government in a move questioned by tax experts allowed failed American International Group to carry forward the net operating losses for use to offset future earnings; this was a stealth bailout worth tens of billions of dollars that didn’t appear to “cost” anything. Meanwhile the Federal Reserve kept rates at zero for almost a decade. This resulted in a huge transfer from savers to bailed-out lenders. The federal government also took a huge amount of risk during a period when financial markets tripled. And that is before we account for all of the collateral losses and moral hazards we created. No. 6. No one went to jail because stupidity isn’t a crime: This one is laugher, from the behavior of the executives at Lehman Brothers to all of the foreclosure fraud that took place. Jesse Eisinger, author of “The Chickenshit Club: Why the Justice Department Fails to Prosecute Executives,” explained how the white-collar defense bar successfully lobbied and undercut the Department of Justice during the years before the crisis. You can’t convict a criminal if you don’t have the personnel, intellectual firepower or stomach to prosecute in the first place. No. 7. Borrowers were as blameworthy as lenders: First, we know that for huge swaths of the banking industry, the basis for lending changed in the run-up to the crisis. For most of financial history, credit was granted based on the borrower’s ability to repay. In the years before the crisis, the incentive to lend shifted: It was based not on the likelihood of repayment but on whether a loan could be sold to someone else, often a securities firm, which would repackage the loan with other loans to create a mortgage-backed security. Selling 30-year mortgages with a 90-day warranty changes the calculus for who qualifies: just find a warm body that will make the first three payments; after that it’s someone else’s problem. Second, we know that if you offer people free money, they will take it. This is among the reasons we have banking regulations in the first place. We expect the banking professionals to understand risk better than the unwashed masses. No. 8. Poor people caused the crisis: This is another intellectually dishonest claim. If any U.S. legislation such as the Community Reinvestment Act was the actual cause of the crisis, then the boom and bust wouldn’t have been global. Second, if poor people and these policies were the cause, then the crisis would have been centered in South Philadelphia; Harlem, New York; Oakland, California; and Atlanta instead of the burgeoning suburbs of Las Vegas, Southern California, Florida and Arizona. The folks making this argument seem to have questionable motivations. No. 9. The Fed made a mistake by stepping in when Congress refused:Congress is the governmental entity that should have done more in response to the crisis. But it didn’t, and all of those members who opposed efforts to repair the economy and financial system should have been thrown out of office. The Fed gave cover to Congress, creating congressional moral hazard and allowing it to shirk its responsibilities. We don’t know how the world would have looked if that hadn’t happened, but I imagine it would be significantly different than it does today — and not necessarily better. No. 10. Lehman could have been saved: This is perhaps the most delusional of all the claims. Lehman was insolvent. We know this from an accounting sleight-of-hand it performed called Repo 105, in which it which “sold” $50 billion in holdings to an entity it owned, booked a profit just before quarterly earnings, then repurchased the holdings. The sleuthing done by hedge-fund manager David Einhorn reached the same conclusion about Lehman’s solvency long before the collapse; the Fed itselfalso made clear that it couldn’t take on Lehman’s losses. When people stubbornly refuse to acknowledge facts, when they insist on staying married to their own faulty belief system, it becomes very challenging to respond with sound policies. As a society, the sooner we reckon with reality, the sooner we can begin to avoid disasters like the financial crisis. Being an inspirational leader takes empathy, centeredness and clarity. One of the most effective traits of a leader is their ability to inspire and motivate a team. As a leader, you have to lead by example and the tone you set will resonate with the rest of your employees. So what’s the best way to inspire your team? For starters, show your team that you care just as much about them individually as you do about the business. That means asking questions about their personal lives and getting to know them outside of the office. Lead with both your heart and head, thinking equally about your employees and the business, and balancing empathy with management. Not only that, but you should continuously find ways to support the professional development of your employees, listen and learn to what they have to say and value the input of each and every member. Having trouble effectively inspiring and leading your team? Don’t worry, according to science, leadership is something that can be learned. In fact, only 24 percent of leadership skills are genetic, and the remaining 76 percent are learned. Overall, the top trait of inspirational leaders is centeredness, meaning the ability to stay calm under stress, empathize, listen carefully and remain present. After centeredness comes clarity, balance and self-awareness. To learn more about inspirational leadership, check out InitiativeOne’s infographic below.